© 2018 MatrixCare. All rights reserved. 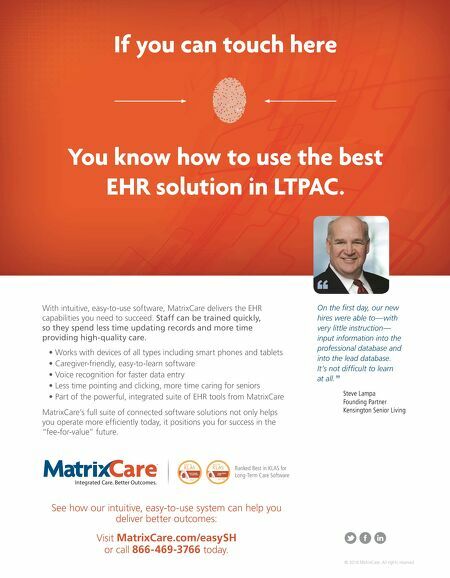 See how our intuitive, eas -to-use s em can hel ou deliver better outcomes: Visit MatrixCare.com/easySH or call 866-469-3766 toda If you can touch here You know how to use the best EHR solution in LTPAC. With intuitive, eas -to-use software, MatrixCare delivers the EHR capabilities ou need to succeed. Staff can be trained quickly, so they spend less time updating records and more time providing high-quality care. • Works with devices of all t pes including smart phones and tablets • Caregiver-friendl , eas -to-learn software • Voice recognition for faster data entr • Less time pointing and clicking, more time caring for seniors • Part of the powerful, integrated suite of EHR tools from MatrixCare MatrixCare's full suite of connected software solutions not onl elps ou operate more effi cientl oda , it position ou for success in the "fee-for-value" future. ¨ Integrated Care. Better Outcomes. 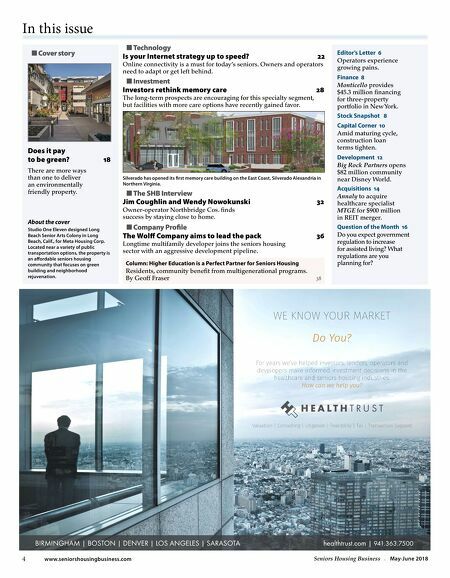 Ranked Best in KLAS for Long-Term Care Software Steve Lampa Founding Partner Kensington Senior Living On the fi rst day, our new hires were able to—with very little instruction— input information into the professional database and into the lead database. It's not diffi cult to learn at all. " "